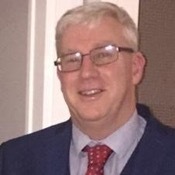 Experience Londonderry through the eyes of a local private guide! Browse our tour 'suggestions' - each can be customized just for you. Our Guides offer 12 unique (and customizable!) tours in Londonderry. When are you visiting? 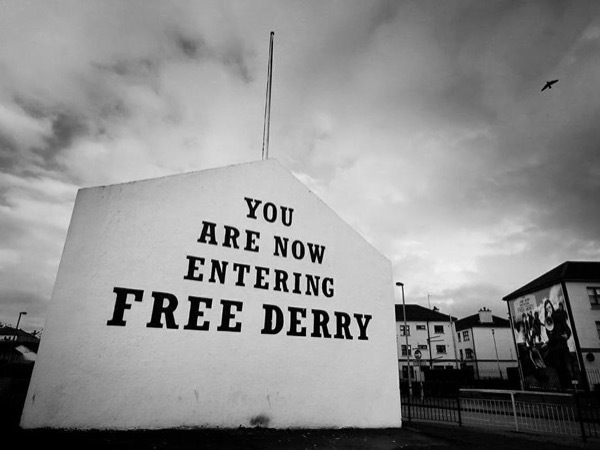 Derry Walls and Bloody Sunday-Bogside Murals Private Walking Tour. The only way to see Derry City! Derry Walls and Bloody Sunday-Bogside murals tour. 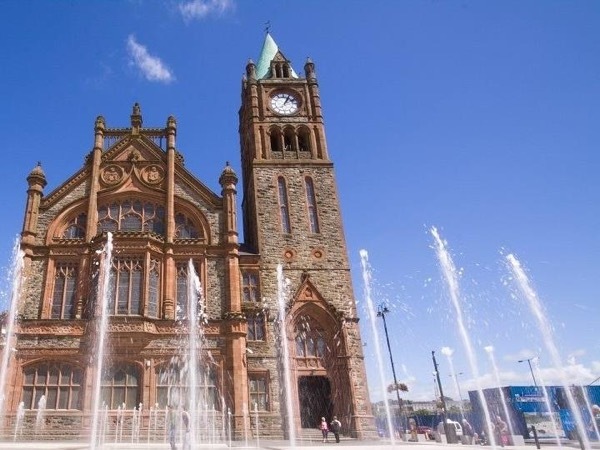 Let's explore the amazing city of Derry together! Our Guides offer 12 unique (and customizable!) tours in Londonderry. Sitting alongside the River Foyle, Northern Ireland's second largest city offers visitors a wealth of history and culture to explore. 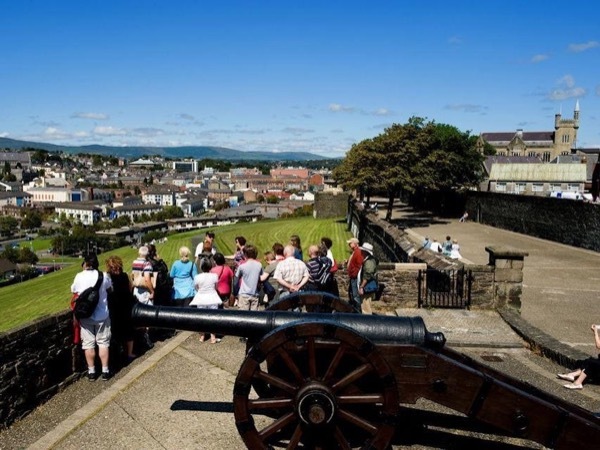 Learn about the Siege of Derry, Battle of the Bogside and Derry's burgeoning arts scene on a private Londonderry tour with a friendly and knowledgeable local guide. Begin your days with a stroll along the city's 17th century stone walls. Eight meters high and nine meters thick in places, these are the only such walls surviving intact in all of Ireland. 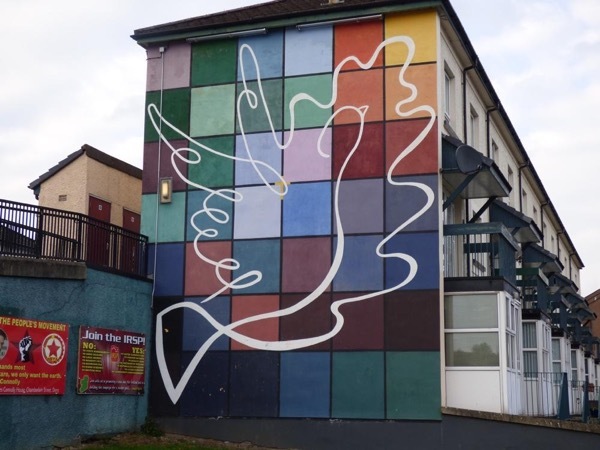 Your guide will explain to you the significance of the colourful Bogside murals, which depict key events in the Troubles. Pop into the Tower Museum and enjoy the view of the city from atop the 16th century stone structure. Make time for a pub supper in the evening. 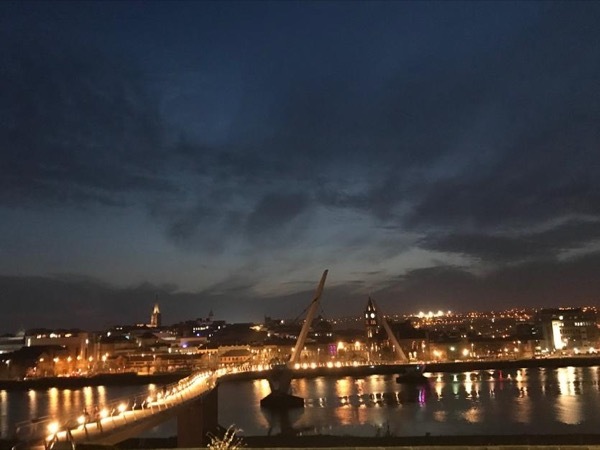 Derry is renowned for its live music scene and your guide will know the best local spots to enjoy a good pint and even better music. 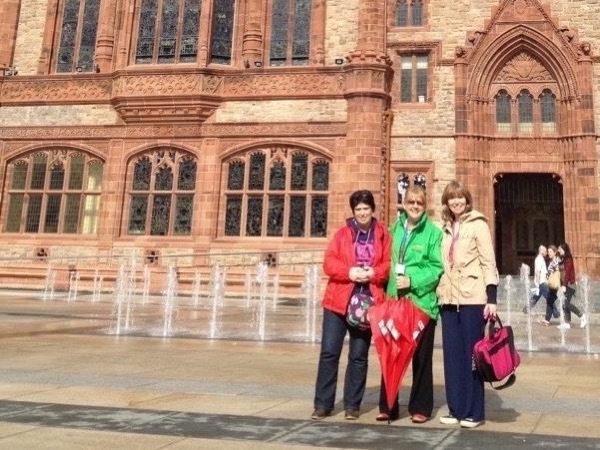 Enjoy all Derry has to offer on your private Londonderry tour! 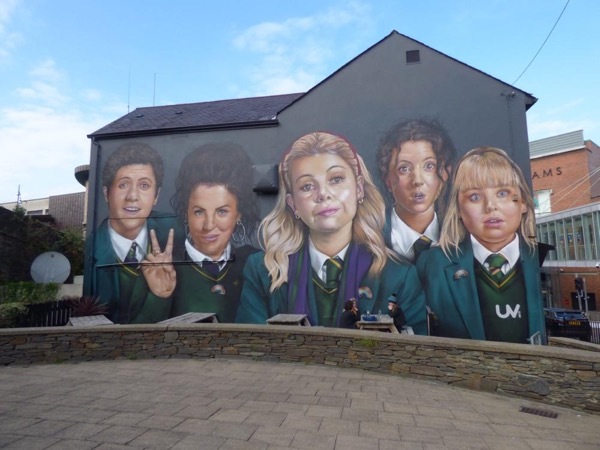 "Gleann indeed makes the walls of Derry come alive! Super guided tour. Well informed on any questions we had. I found the Bloody Sunday part of the tour quite emotional and an eye-opening look at The Bogside.Thank you Gleann"
"I grew up in Derry and have been away for a while. I took my son and his cousin on a DGT with Gleann. We wanted to see the "Street art"/ murals and with Gleann's guidance, we were able to compare the Waterside murals and the Bogside murals. 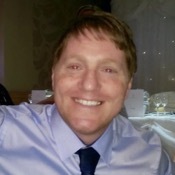 Gleann is clearly knowledgeable and was able to tailor his talk to his young audience brilliantly. We were picked up and dropped off. Would definitely recommend."